The founding generation took pride in passing on the traditions and songs of their homeland GOTTSCHEE to us. They enjoyed teaching the younger children songs and folk dances to perform at many Club events, a tradition that has been passed down and continued for 3 generations. 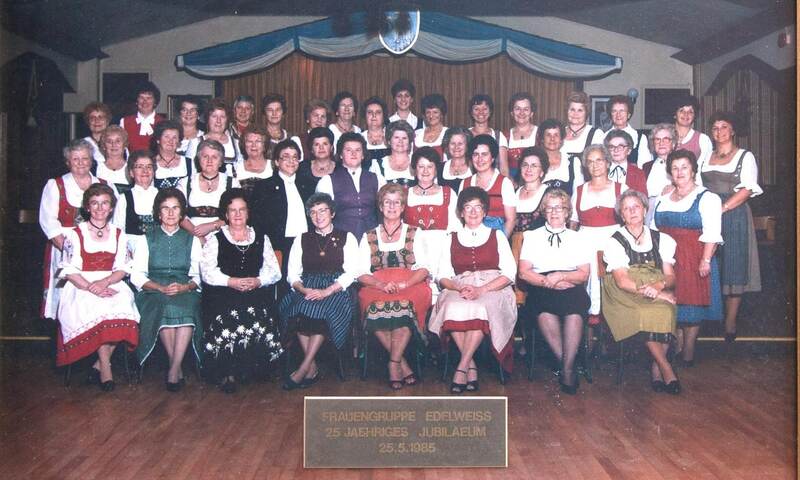 The ladies group also organized children’s Christmas Parties, New Years, Fasching and Spring Dances. 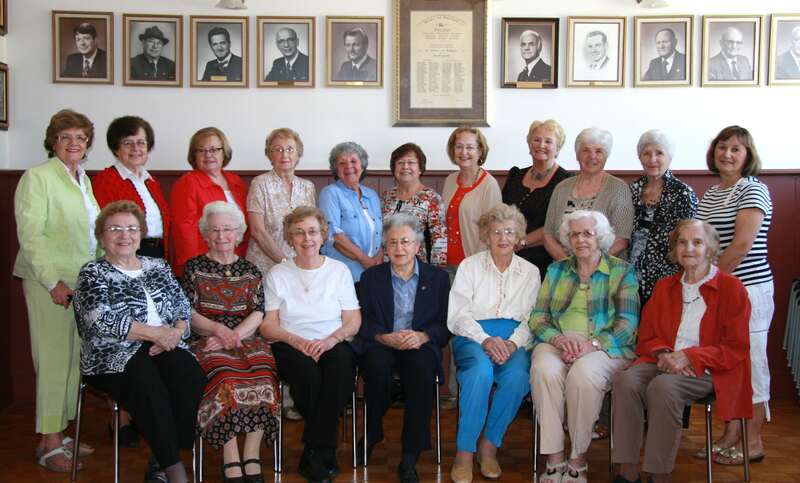 Another highlight for the ladies has been to prepare the meals and serving the hundreds of Gottscheer visitors who come not only from Canada, but New York, Cleveland, Chicago and Millwaukee, to attend the many “Gottscheer Treffen” weekends held in Kitchener, over the last 50 years. 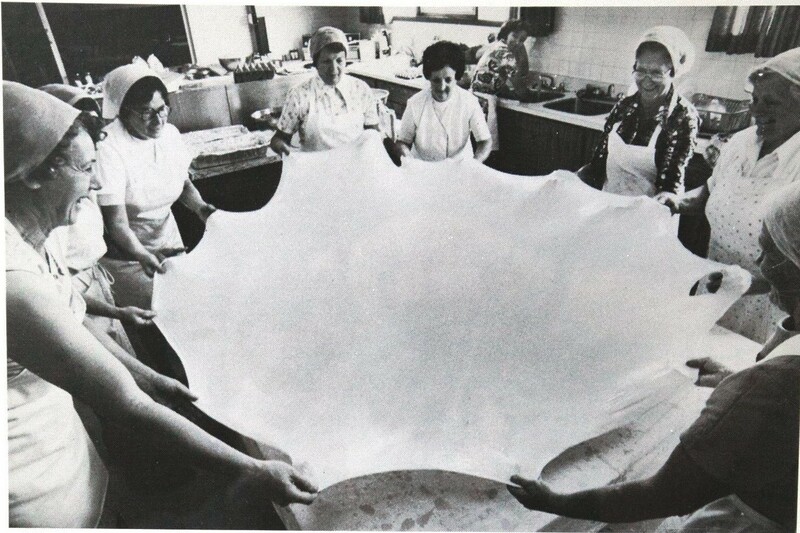 The ladies group numbering close to 100 in the 70’s and 80’s held their monthly socials – Kaffee-Klatsch – and spoke mostly their Gottscheer dialect while discussing plans for the next event and enjoying the home baking supplied by the “Birthday Girls ” of the month. Although our numbers are much smaller now, we are keeping our family traditions, heritage and spirit alive.Our current focus is more on our senior members, ensuring they can come out to the Apline Club and join old friends for an afternoon of camaraderie and sharing in German, Gottscheerisch and English. To keep it light and entertaining we share our stories, hold flower arranging demonstrations, go on bus trips to the Niagara Casino, play Bingo, hear updates about the club’s activities, discuss fundraising opportunities and yes, we share lots of laughs. The age of our members is in the range from 50 – 95 years and our group is happily seeing an increase of younger ladies to our membership. 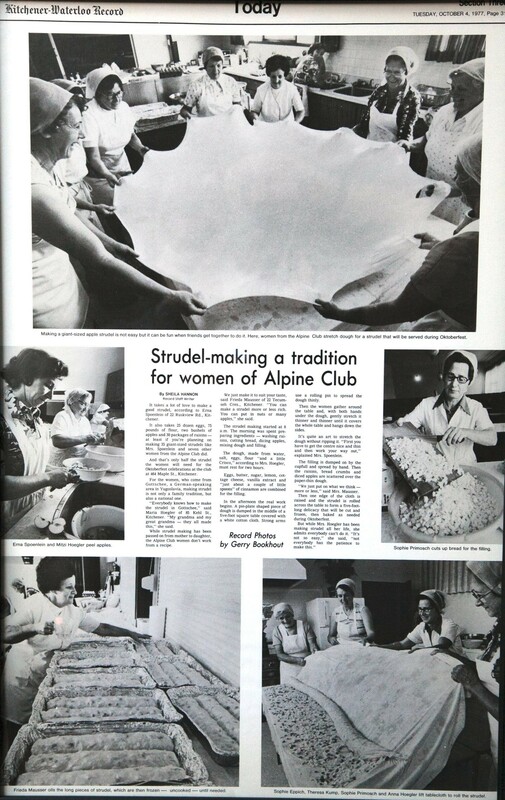 We welcome all Alpine Club members and friends to join our ladies group meetings, which are held from 2 – 4 p.m. every third Thursday of the month. 519-570-3214or hilde.erika@gmail.com for further information.